Nestled between a splendid natural harbour and the Ionian Sea lies a 2700-year old city. A UNESCO World Heritage Site and the birthplace of Archimedes, it is of place of contrasts. Against a background of ancient Greek architecture, and a cultural historic centre in the island of Ortigia, the city has a clear ambition to be a digital hub with a flourishing tech scene, led by a modern, digitally-enabled municipality. Welcome to Siracusa! This is a city of culture and heritage, in a fabulous natural setting on the south-eastern corner of the island of Sicily, Italy. Yet the city’s 125,00 citizens live in one of the more deprived regions of Europe. With traditional industries reducing and an employment rate in the region of just 40%, the city relies heavily on tourism to support its economy. It is a place that faces many challenges as it adapts to a more modern economy, with old agricultural and industrial jobs now leaving (particularly in the petrochemical industries, with a large locally presence a few tens of km to the north) and either being relocated, replaced by technology or simply the victim of a more lean and cost-reductionist approach. This presents difficulties for a city that is geographically isolated from mainstream economies with relatively underdeveloped infrastructure in terms of utilities and mobility. Siracusa is not a technically advanced city in the traditional sense – less than 50% of residents are able to use a computer, under 40% use the internet every day and many schools have only a few older desktop computers available, never mind tablets and other modern tech. This digital divide is further exacerbated by limited availability of public computers in libraries or other public spaces. Siracusa’s tech economy is in its infancy, but despite that, the city has an ambition to grow its emerging tech and digital media sector, with the municipality looking to support that through its new digital strategy. Their journey to this point has been an interesting one. Starting in 2012, Siracusa was recognised as part of IBM’s Smarter Cities Challenge and in particular highlighted challenges for the city in better-coordinating its stakeholders and improving civic collaboration. A route to address these challenges presented itself in 2013 and with the city getting involved in Genius Open, one of the Pilot Transfer Networks under URBACT II, which was testing the transfer of Open Innovation practice to new cities. Culturally, the Siracusans are very social, so the idea of such a structured approach to bringing people together to work on something was not natural at first and some found it overly complex. But as they got to grips with the method, the power of the open innovation approach slowly started to become apparent. However, it highlighted the difficulties of bringing an approach developed within one cultural setting to very different contexts, particularly in regard to the different expectations around how people interact and the roles different institutions normally take. In Siracusa, digital services and communication are in a very different place to northern Europe for example. The same goes for the municipality engaging with citizens. Municipalities in the region are typically more autocratic and hierarchical than they are open and agile and this doesn’t always sit comfortably alongside a collaborative way of working based around open innovation principles – working with a range of people outside the organisation to come up with ideas and then create the solutions together. So the decision to adopt an open innovation approach, based around the use of digital platform was a bold one. The municipality quickly ran into difficulties when seeking engagement through a bespoke online platform – people just weren’t motivated to interact on yet another platform or their limited digital access meant they had difficulty getting to it, even if they wanted to. But rather than quit, the team looked for ways round the problem and opted to combine the online approach with a high level of offline engagement and events, still drawing on the same principles and process, but “animating” the online platform by sharing the offline discussions on the platform retrospectively. Through this shift, they took the original approach and adapted it to their local setting to make it their own. This used the local strengths to their advantage. They also settled on an extremely bold challenge to tackle – the neighbourhood of La Mazzarrona had long felt neglected, suffering severely from a lack of local services, no public transport connections and a general feeling of being on the periphery socially as well as geographically. The city team decided to take on the challenge of using this new, digitally-enabled approach to tackle the multiple problems faced by the citizens of La Mazzarrona. Given the “digital isolation” in the neighbourhood, some would say it was a risky move, but the combination of a driven project team and a local community desperate for change meant that an opportunity was seized. GeniUSiracusa! was born. The digital platform provided greater reach and gave visibility to the problems – residents and officials would not normally see the dialogue nor the challenges faced by the neighbourhood, but GeniUSiracusa! brought those discussions into the open. Coupled with the face-to-face open innovation methods, by early 2015 the combined approach had made a substantial difference to local residents and to the municipality. Fast-forward three years to 2018 and Siracusa have just run the latest in a series of open challenge and have just hosted their third open innovation event. Identifying Facebook as a more commonly-used platform locally, they have continued to combine online discussion effectively with offline engagement to ensure a meaningful and rich dialogue amongst stakeholders. Physical space events are still a core part of their approach – this maintains a different dynamic to the relationships between parties. But they have successfully developed the use of the online platform to obtain greater reach than can ever be achieved through offline methods alone. Given that many of the challenges they are working on with this digital approach are about “place” i.e. challenges in their city, the real-world interactions are important to ensure the continued connection between people and that “place” when looking at solving local problems. Siracusa are now using the GeniuSiracusa! approach to co-design their new digital strategy for the city as part of their participation in the TechTown URBACT action planning network. Through that transnational network of cities, they have been exchanging ideas and working to define what are the important parts of a digital strategy for small-medium sized cities. They are then using their open innovation approach and online platform to expand on the detail locally, working with a wide range of relevant stakeholders to co-create actions which will help them achieve their strategic goals. This includes goals relating to making the municipality more digitally enabled, supporting and growing the nascent digital and tech sector, helping more digital businesses to establish themselves in the city, and fostering better collaboration across businesses and citizens. Underpinning all this is a longer term objective to improve the underlying infrastructure that supports this strategy, such as increased broadband connectivity and wi-fi availability and increased access to talent and skills needed to support growing businesses. In aiming to become a model “Tech Town”, Siracusa is embracing the opportunities offered by the digital economy and using technology as a way to help connect with businesses and citizens and to collectively tackle the challenges facing the city. They don’t, however, see “digital” as an all-encompassing solution. Technology can be a major enabler, and Siracusa are using it as that. Their combined approach with GeniUSiracusa! 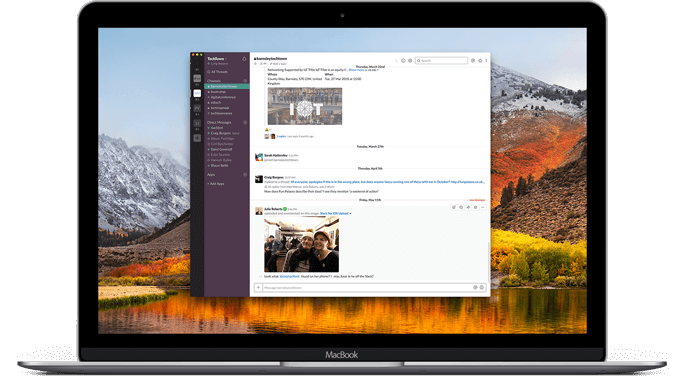 – blending web discussions via an online platform with face-to-face interactions through meetings and events – demonstrates the power of open innovation and the importance that online collaboration can play. Technology greatly expands reach, keeping people involved who cannot or do not want to participate in meetings and events or who simply prefer to contribute remotely, and enabling results from the projects to be communicated more widely – the Italian language video from their latest open innovation event saw over 2000 views in the first 24 hours after it was posted on their Facebook page and 1 month later had over 3500. Clearly there is interest in the approach and the content from those who interact with GeniUSiracusa digitally. But to see digital tools as the way to change a place is short sighted. Cities are complex systems, and solving city problems needs a range of tools and approaches. Digital and tech play a part here, in the same way they play a part in making up a local economy. But cities would never rely entirely on digital businesses in the economy. Nor should they in civic engagement. At the same time, the opportunities it offers for a different and more wide-reaching engagement with citizens (and a more rich and modern economy, for that matter) are extensive. So what can aspiring and existing Tech Places take away from this story? Firstly, digital and tech can be a powerful enabler. Increasing “reach” by making things visible beyond the physical borders of a community or group is very powerful and allows a wider range of people to engage in a process than if they physically have to be present. Secondly, digital is still only part of the solution, particularly when it comes to working with a wide range of people. This is true in tech savvy communities as much as in more digitally isolated ones. Thirdly, note that digital tools are only as effective as the people who build them and the people who use them. Tech can create new opportunities, but it can also be used in a way that just “digitises” existing poor processes. Just because something is digital doesn’t make it better – it needs to be designed in a way that takes advantage of the opportunities that new technology offers, but it still needs to be well designed, with the users in mind. Finally, just like people don’t always want to go to the town hall for a meeting, as it’s not somewhere they normally go, they equally don’t want to visit a unfamiliar digital “place” if there’s no other reason for them to be there. The success of the GeniUSiracusa! Facebook page compared to the original online platform illustrates that. If you want to work closely with people, it’s best to start by going to where they are already – be that to their existing physical meeting places or to their existing online community. Digital is here to stay. But just not as the only way. Siracusa are showing how you can blend the different tools together to create a powerful approach. How many other contexts can that apply to? A fair few, in all probability.